Catral is a town located in the south of the province of Alicante, in the region of Vega Baja del Segura. The town offers a peaceful, tranquil area to live, well away from the hustle and bustle of the coastal towns. Catral's origins are uncertain, as is the origin of the name. There are three theories: that the name is of Iberian origin (Kal turl the, meaning "double peak", which would refer to the nearby to Cabezos of Albatera), which be of Latin origin ( for Castrum Altum, “Villa fortified” in Latin) and Arab (Al-Qatrullät). In any case, the middle of 13th century ended the Muslim rule of Catral. The town's farmland increased significantly during the first two decades of 18th century due to draining of wetlands, promoted by the Cardinal Belluga. In 1741, the 152 inhabitants of Catral paid 12,499 pounds for the title of Villa and with it the independence from Orihuela. In 1829, it was spared the devastating effects of an earthquake that destroyed much of the population of the region. Since then, it has held an annual thanksgiving to Saint Emigdio, patron saint against earthquakes, as thanks for his intercession. 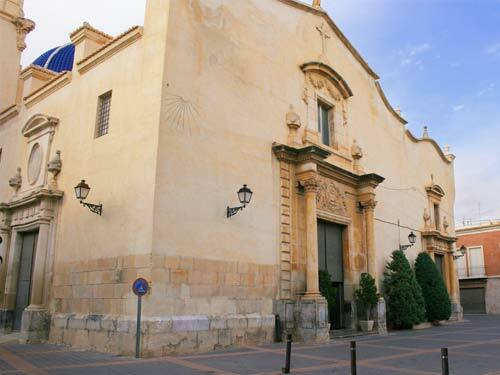 In the plaza you will find the church of San Quan dedicated to Saint Agatha, of which a plaque is dedicated to the memory of "the sons of Catral who gave their lives for a better future", and the impressive Town Hall. Despite being a small town, Catral has all the amenities you would expect– shops, bars, restaurants, where it is pleasant to sit watching the world go by whilst enjoying a drink. Catral is close to the El Hondo Natural Park, which is good for walking, hiking or cycling along the many rural tracks and trails throughout the area. El Hondo Natural Park is also an important habitat for migrating bird species. One of Catral’s best known festivals is held from 22 to 24 June in honour of Saint John the Baptist the Patron Saint of Catral. Another festival, and one of the oldest traditions of this province, is the annual pilgrimage for Saint Agatha and is held from 4 to 6 February. Catral is a beautiful place, the wonderful charm and character of the old Spanish town remains alongside the improvements and regeneration. See below to view a selection of our bargain properties in Catral.